YOU MUST SEPARATE BETWEEN HOLY AND UNHOLY, AND BETWEEN UNCLEAN AND CLEAN. Shalom. Our teaching this morning continues from The Law of Moses. And our study is from Leviticus 10.1-11. The title of our message is, YOU MUST SEPARATE BETWEEN HOLY AND UNHOLY, AND BETWEEN UNCLEAN AND CLEAN. So with that said, let’s read Leviticus 10.1-11. Nadab and Abihu were Priests of The LORD, and the two oldest sons of Aaron the High Priest. And they offered unlawful fire before The LORD, and GOD killed them. Fire went out from before The LORD and devoured them, and they died before The LORD. And Moses said to Aaron, “This is it that The LORD spoke saying, I will be Sanctified,” meaning, I will be Holy in them that come near Me. GOD demands Holiness in those who come near Him, and in those who approach Him. Holiness is being set apart for GOD, living our life in obedience to The LORD GOD, as did the Prophets, the Apostles, and Messiah Yeshua Himself. Keeping all GOD’S Laws and Commandments that are written in The Law of Moses. Making ourselves clean and pure in the sight of GOD by separating and distinguishing between Holy and unholy, and between unclean and Clean. And that can only be accomplished by living our life in accordance to The Law of Moses, and having atonement for the forgiveness of our sins through belief in the Messiah Yeshua. So Aaron and his sons were warned by GOD that if they disobeyed The LORD by not following His instructions, they too will die and wrath will come upon all Israel. The death of Nadab and Abihu, two Priests of The LORD GOD, was tragic. It came about because of their shocking disobedience to GOD. But The LORD GOD is King and Judge. He is The Sovereign LORD Who has absolute power and authority. We are all dependent upon Him for everything, and completely subject to His Will. He blesses those who are righteous, and punishes those who are unrighteous. And GOD is quick to forgive. GOD is transcendent, beyond anything in the world. And by keeping His Ways and Instructions, The LORD blesses us with wisdom and understanding. Because of GOD’S Grace, The LORD has a special relationship with Israel. The Jewish People are GOD’S Chosen People to be His Servant and Witnesses, Isaiah 43.10. And though GOD calls Himself The Holy One Of Israel, He is The GOD of all nations, and The LORD of all people. And when individuals obey The LORD, His blessings come upon them, and overtake them. And when people disobey The LORD, and do not do all His Laws that are written in The Law of Moses, problems and troubles come upon them. LEVITICUS 10.7 Again, Moses spoke to Aaron the High Priest, and his two sons Eleazar and Ithamar the Priests, saying, “You shall not go out of the door of The Tabernacle of the Congregation lest you die, for the anointing oil of The LORD is upon you.” I don’t believe that the Priests were commanded never to leave The Tabernacle, but that their service to The LORD remained in The Tabernacle, and was to continue as GOD commanded them. Strong drink in Hebrew is SHAY’KHAR in which the Yiddish word SHIKER comes from meaning a person who is a drunk, a shiker. (MATTHEW 13.41) All things that offend are those who cause people to sin by violating The Law of Moses, 1 John 3.4. And them that do iniquity are those who violate The Law of Moses. (MATTHEW 13.43) The Righteous are those who obey The Law of Moses. (REVELATION 22.14) GOD’S Commandments are all His Laws that are written in The Law of Moses. LEVITICUS 10.10-11 And GOD said to Aaron the High Priest, and his two sons, the Priests that they put difference between Holy and unholy, and between unclean and Clean. The Hebrew word for difference is BAH’DAHL that also means separation. You must put separation between Holy and unholy, and between unclean and Clean. Those instructions apply to everybody. And GOD said to the Priests, Teach the Children of Israel all the Statutes which The LORD has spoken to them by the hand of Moses. Here is another specific that distinguishes and separates Israel who are the Jewish People from the nations. Because the Jewish People are taught all GOD’S Laws and Commandments that The LORD has spoken to them by the hand of Moses. We have been taught The Law of Moses that contains all GOD’S Laws. And we have been taught the difference between Holy and unholy, and between unclean and Clean. The nations outside of Israel reject The Law of Moses. Yet GOD’S Laws are for everybody. And that is why Yeshua The Messiah, Jesus Christ says, “Salvation is of the Jews.” Salvation is from the Jews, and Salvation is available to non-Jewish People if they are willing to live by GOD’S Law of Moses, separating between Holy and unholy, and between unclean and Clean as taught in The Law of Moses. And having Messiah Yeshua as your Atonement for the forgiveness of sins. Paul writes about his kinsmen who are Israelites, the Jewish People to whom pertain the Adoption, and the Glory (the Honor), and the Covenants, and the giving of The Law, and the Service of GOD, and the Promises, whose are the Fathers, and of whom, as concerning the flesh, Messiah came Who is over all, GOD blessed forever, amen. 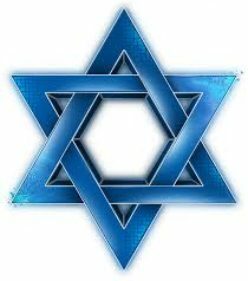 So yes, non-Jewish people are always invited by GOD Almighty, Yeshua The Messiah to join in with the Jewish People for Salvation. But on GOD’S terms. There is a difference between what man teaches for Salvation, and The Truth that GOD teaches for Salvation. For Salvation is of the Jews. Posted on February 22, 2015 March 22, 2015 Categories Shabbat MessageLeave a comment on YOU MUST SEPARATE BETWEEN HOLY AND UNHOLY, AND BETWEEN UNCLEAN AND CLEAN. WHY DID GOD STRIKE DOWN NADAB AND ABIHU? Shalom. Our teaching this morning from Torah, The Law of Moses will come from Leviticus 10.1-3. And The Title of our Message is, “Why Did GOD Strike Down Nadab and Abihu?”. And with that said, let’s read Leviticus 10.1-3. Nadab and Abihu were the two oldest sons of Aaron. Aaron and his sons just days earlier had been ordained by The LORD to be Priests. Aaron their father was ordained to be the High Priest. And while serving The LORD in the Tabernacle Sanctuary, Nadab and Abihu each took their censer, a fire pan with a handle, and put fire in them and laid incense on the fire, and as The Bible says, they offered strange fire before The LORD which The LORD had not commanded. Strange fire is unlawful, profane fire that they offered before The LORD. They prepared an incense offering of their own making which GOD had commanded them not to do. The Altar of Incense where Nadab and Abihu prepared their strange fire, and offered it before The LORD, was located in the Sanctuary in front of the curtain of The Holy of Holies where the Ark of the Covenant was with the two cherubim on the mercy seat, the lid of the Ark. That was where GOD met with Moses from above the mercy seat between the two cherubim to speak to, and teach Moses all things that GOD gave Moses in commandment for the children of Israel, the Jewish People. And as GOD appointed the Jewish People to be His servant and His witnesses, they passed on every word and teaching that GOD spoke to Moses to all the world via The Bible that Jewish People wrote from Genesis through Revelation. And The LORD had commanded the Priests not to offer strange fire before Him. GOD’S Laws, like all laws, are to be obeyed. And GOD’S instructions concerning the correct incense were given to the Priesthood earlier, and they were not obeyed by Nadab and Abihu. Those instructions are written in EXODUS 30.7-9, 34-37. LEVITICUS 10.1-2 And just as the joy of the ceremony of the Priesthood had reached its peak, tragedy struck. Aaron’s two oldest sons lost their lives because of their disobedience to GOD. Fire went out from before The LORD and struck them down on the spot, and they died before The LORD. LEVITICUS 10.3 Then Moses said to Aaron, this is what The LORD meant when He said, I will be Sanctified, that is to say, I will be Holy in them that come near Me. GOD demands Holiness in those who approach Him. GOD is Holy. And those who come near Me, GOD says, I AM holy. Absolutely pure, set apart from the unholy, and set apart from the unclean. Thus GOD will not tolerate disobedience to Him from those who come near Him in unholiness. GOD also said, And before all the People I will be glorified, meaning, I will be honored, praised, and glorified by an Obedient People. And Aaron held his peace. Aaron was quiet and astonished. The tragedy hit him like a thunderbolt. Nadab and Abihu did not honor GOD. They did not obey Him by offering fire before The LORD in the Holy Place of their own making and not according to GOD’S instructions. When I prepare a message or a study, I always pray to The LORD. Lord, I very often say, I can’t do this without You. I need Your help. And The LORD has always helped me. And I prayed the same prayer for this teaching, LORD I need Your help. I can’t do this teaching without You. So before going to The Bible for GOD’S answers, I looked into Jewish thought on this tragedy, and Christian commentary on obedience and disobedience to GOD. As for this devastating incident regarding The LORD killing Nadab and Abihu because they disobeyed GOD by offering strange fire before Him that was unlawful and in opposition to the Commandment of GOD, some Rabbis and medieval Jewish commentators from the late fifth century to the 1500’s were doubtful that GOD struck down the two young Priests for such an insignificant ritual as offering strange fire before The LORD that GOD commanded them not to do. Especially, they said, since their error seemed to stem from a sincere, though perhaps over enthusiastic desire to serve The LORD. Thus, some Rabbis and commentators suggested various reasons for the severe fate suffered by the two Priests such as, GOD killed the two Priests because they were drunk. Or because of celibacy, abstaining from marriage. Or their arrogant impatience for Moses and their father Aaron to die so they could replace them. Or their neglect of their sacred obligations. All preposterous. Nadab and Abihu were killed by GOD because of their flagrant disobedience to GOD. But Judaism for the most part understands that Nadab and Abihu acted in utter disregard to The Commandment of GOD. They disobeyed GOD. They disobeyed His Commandment. And the result was tragic. GOD destroyed them. (LUKE 21.33) Yeshua The Messiah is GOD Almighty Who gave His Laws to Moses Face to face in Mt. Sinai, and in The Holy of Holies in The Tabernacle. And Yeshua’s Words are The Word of GOD that included The Law of Moses that will never pass away. They will never perish or go away. However, Christianity teaches that The Law of Moses had its validity up until the death of Christ. Since the death of Christ, Church doctrine teaches that The Law of Moses has no validity in Christian life. By the death of Christ, Christianity teaches that The Law of Moses is taken away completely as valid instruments of worship. Simply said, the Christian is taught not to be subject to any of GOD’S Laws because they are invalid. Abolishing GOD’S Laws that are written in The Law of Moses is invalid, and impossible. And in flagrant opposition to the teachings of Jesus. Think on this for a moment. The GOD of Creation is taught in The Law of Moses. GOD’S Word, His Laws and Commandments for all mankind are taught in The Law of Moses. GOD’S blessings, and how to be blessed are taught in The Law of Moses. GOD’S promises, and how to receive GOD’S promises are taught in The Law of Moses. GOD’S Covenants, including The New Covenant called The New Testament, are taught in The Law of Moses. How to receive GOD’S Covenants including The New Covenant are taught in The Law of Moses. Christ, as taught in The Bible, Who is Messiah Yeshua, GOD Almighty, The ONE GOD of Creation, Elohim, is taught in The Law of Moses. Atonement, Salvation, Deliverance, and so much more are taught in The Law of Moses. How to spend eternity in Heaven is taught in The Law of Moses. Yet, Church doctrine teaches that GOD’S Laws that are written in The Law of Moses are invalid. Doctrine that is in direct violation to Biblical teaching. GOD cannot be known, nor can you believe GOD properly, or understand Him accurately without knowledge of The Law of Moses. The GOD of Creation teaches in The Bible that His Word which includes His Law of Moses endures forever. That GOD never changes. Sin is breaking The Law of Moses. That Jesus will say to those people who lived their life in violation of The Law of Moses, “Depart from Me you that work lawlessness.” Jesus says “It is easier for Heaven and earth to pass than one tittle of The Law to fail”. Jesus also said, “I did not come to destroy The Law or the Prophets.” Jesus also said, “Except you repent, you shall all likewise perish.” Repentance is turning from all your sins of breaking The Law of Moses and turning to GOD in obedience to all His Laws that are written in The Law of Moses. (1 PETER 1.25) The Gospel comes from The Word of GOD. And the Word of GOD includes The Law of Moses. (Malachi 3.6) The LORD never changes, nor does His Word or His Laws written in the Law of Moses change. (MATTHEW 5.17) Yeshua came to fulfill the purpose of His first coming by voluntarily giving His Life on a Roman cross for our Atonement. Also, Messiah’s first coming completed The Law of Moses and the Prophets by fulfilling the hundreds of prophesies in the Law and the Prophets that predicted His first coming. (Genesis 6.9) Noah was a just man because he obeyed GOD’S Laws. Yet the Church and various Messianic Congregations teach that The Law of Moses is invalid, null and void, abolished, and done away with. Making GOD’S Law of Moses invalid is not only impossible, but abolishing GOD’S Laws that are written in the Law of Moses is dangerous to those who teach that false doctrine, and to those who receive that false doctrine. Truly they need to repent according to GOD’S instructions in Ezekiel 18.21. In 1981, I began reading the Tnakh, The Old Testament Bible. In 1982, I came to faith is Jesus, later finding out that His correct Hebrew Name and Title are Yeshua The Messiah. And subsequently I learned that Yeshua The Messiah is GOD ALMIGHTY, The ONE GOD of Creation. And now, years later, I realize that it is natural for a Jewish Person to come to faith in Messiah Yeshua, and natural for a Jewish Person to live our life for GOD according to Biblical teaching. Why? Because Yeshua is The Promised Jewish Messiah. He is GOD ALMIGHTY. And The LORD GOD requires us, Jewish People an Non-Jewish Believers in Messiah Yeshua to live our lives according to GOD’S Laws and Commandments that are written in the Law of Moses. Most Jewish Believers in The Jewish Messiah Yeshua are introduced to Biblical doctrine through Christian teaching whether being part of a non-Torah observant Messianic Congregation or a Church. Church doctrine, as pointed out above, abolishes GOD’S Law of Moses, the fundamental teaching of The Bible, Dt.6.4, Mk.12.29. Not only is that false doctrine foreign and strange to the Jewish Person, it is outrageous hostility to The LORD our GOD. A huge step backward because transgressing the Law of Moses continues our life in sin, 1Jn.3.4. As Jews, we are taught from birth to obey GOD’S Law of Moses. And we are taught that there is Only ONE GOD. The Church and a number of Messianic Congregations obviously do not teach that. So for a Jewish Believer in Messiah to follow Yeshua correctly is natural, even easy once we get over the false doctrine we were taught at the outset of our walk. For non-Jewish believers in Messiah and Christians, more of an effort is required. As James taught in Acts 15.21, the Gentile believer in Messiah should go to the Synagogue every Sabbath on Saturday where Moses, that is to say, the Law of Moses is taught. Learn The Law and do it. Let’s again look at LEVITICUS 10.3. How does the Believer in Messiah Yeshua become Holy? By having your sins forgiven by the sacrificial, atoning death of The Messiah Yeshua, and living your life according to The Law of Moses. That is how the Believer in Messiah Yeshua becomes Holy. And you will glorify The LORD your GOD. You will honor The GOD of your Salvation. And happy are you because you are saved by The LORD, the shield of your help. And your enemies will be found liars unto you. Happy are you whose GOD is The LORD. Happy are you because you have The GOD of Jacob for your help, whose hope is in The LORD your GOD. And happy are you because you keep The Torah, The Law of Moses. And be happy and rejoice for your name is written in Heaven. Posted on February 15, 2015 March 22, 2015 Categories Shabbat MessageLeave a comment on WHY DID GOD STRIKE DOWN NADAB AND ABIHU? Protected: THE GLORY OF THE LORD IS GOD ALMIGHTY, YESHUA THE MESSIAH. YESHUA THE MESSIAH VOLUNTARILY GAVE HIS LIFE ON THE CROSS FOR THE ATONEMENT OF HIS JEWISH PEOPLE. And with that said, let’s read Leviticus 8.14-36. I feel inclined to explain in this teaching the similarities of the animal sacrifice for atonement and the sacrificial death of The Messiah Yeshua on the cross for the atonement of His Jewish People. The perfect similarities in the steps of The Messiah Yeshua to the cross for the atonement of His People, and GOD’S Commandments that belong to the animal sacrifice for the atonement of His Jewish People. But first, let’s look at some Scriptures that prophesy of Messiah Yeshua’s atoning death for the very purpose of making atonement for His Jewish People. In The New Testament, MATTHEW 1.1-2, 20-21 The Holy Spirit is GOD ALMIGHTY. And the word save in Greek, as in, He, Messiah Yeshua will save His People, His Jewish People from their sins is SOZO. Also meaning DELIVER. The Messiah Yeshua will DELIVER His Jewish People from their sins. Messiah Yeshua will be their Atonement. And Messiah Yeshua is their Atonement. ZECHARIAH 9.9 Our King, Who is Yeshua The Messiah, GOD ALMIGHTY, comes to The Jewish People having Salvation. Salvation in Hebrew is YAH’SHAH also meaning DELIVER. Thus our King, Messiah Yeshua comes to, and has come to The Jewish People to Deliver them from their sins. Messiah Yeshua is The Atonement for His Jewish People. Now the similarities of the animal sacrifice and Messiah’s atoning death on the cross. The animals for sacrifice were killed by Moses in this particular Dedication of the Priesthood. But as a rule, the animals were killed daily by the Jewish Priests for the atonement of the People. The Priests laid their hands on the head of the animal, and it was accepted to make atonement. And the Priest killed the animal before The LORD, and he brought the blood and sprinkled it around the altar. Confirming what The Torah teaches, “It is the blood that makes atonement for the soul.” Leviticus 17.11. Messiah Yeshua often predicted His own death. That was the purpose of His first coming 2,000 years ago, to voluntarily give His Life on a Roman cross for The Atonement of His Jewish People. To deliver them from their sins. Matthew 1.21. For Messiah said, “I am sent only to the lost sheep of the House of Israel.” Matthew 15.24. Messiah Yeshua is our Offering for sin. Those are the words of GOD ALMIGHTY from the prophet Isaiah. Isaiah 53.10. Now concerning Messiah’s death. The Jewish People laid their hands on The Jewish Messiah Yeshua as the Jewish Priests laid their hands on the animal sacrifice for atonement. Messiah was killed as ordered by the High Priest Caiaphas, the Chief Priests, and the Elders of the Jewish People, making up the council. All ordained by The LORD GOD ALMIGHTY from before the creation of the world for the atonement of His Jewish People. And the Jewish council handed Messiah over to the Romans who unknowingly sent Him to the cross for our Atonement. As Isaiah wrote in Isaiah 52.14, “As many were astonished at You, His appearance was so marred more than any man, and His form more than the sons of men.” And Messiah’s blood was shed at the bottom of the altar, a Roman cross being the altar to make Atonement for GOD’S Chosen People. Paul wrote, “O the depth of the riches, both of the wisdom and knowledge of GOD. How unsearchable are His judgments, and His ways past finding out. LEVITICUS 8.14-15, 18-20, LEVITICUS 17.11, ISAIAH 45.22, ISAIAH 52.14, ISAIAH 53.10, ROMANS 5.11, ROMANS 11.33-36. Add to that the prophesies in The Tnakh, The Old Testament predicting Messiah’s death that was fulfilled at His first coming, and recorded in The New Testament. PSALM 16.10, PSALM 22, ISAIAH 53, ZECHARIAH 12.10. VERSE 54 The many prophesies in Tnakh, The Old Testament Scriptures that predict Messiah’s death. MATTHEW 26.57 No Gentile who was not under The Law of Moses had anything to do with the animal sacrifice for atonement. That was always the responsibility of Jewish People. And the atoning sacrifice of The Messiah Yeshua was no different. Messiah’s death on a Roman cross was carried out by Jewish People. We condemned Him to death and handed Him over to the Romans for crucifixion, not knowing this was the Will of GOD that Messiah Yeshua’s Soul is our offering for sin, Isaiah 53.10, to make Atonement for His Jewish People by His death and shed blood. Matthew 1.21, Leviticus 17.11. MATTHEW 27.1 The morning was the first day of Passover. Now in Egypt, the evening before the Exodus, The Children of Israel who are the Jewish People were commanded by GOD to kill the Passover Lamb. Establishing the first Passover. And strike its blood on the two side posts and upper doorposts of their houses. For the blood of the lamb, The LORD said, was a miracle that GOD would pass over the Jewish People and not destroy them when The LORD passed through the land of Egypt that night to kill the firstborn in the land of Egypt, both man and beast and all the gods of Egypt. BACK TO MATTHEW 27.2-10 Judas Iscariot was part of GOD’S plan for atonement and salvation. MATTHEW 27.11-26 Barabbas in Hebrew is Bar Abba meaning son of the father. Back to MATTHEW 27.30-31 Crucify means to be put to death on a cross and slaughtered. The sacrifice of an animal for atonement was also a slaughter. Both the animal and Messiah Yeshua were killed to make atonement for GOD’S Jewish People, to forgive us our sins. Back to MATTHEW 27.34-35 The prophet is David. The prophesy is written in PSALM 22.18. LEVITICUS 8.30 We also who believe in The Jewish Messiah Yeshua, who have Atonement through His death and live our lives according to GOD’S Torah, His Law of Moses, are Sanctified, made Holy and cleansed by Messiah Yeshua, Consecrated and Dedicated as the Priesthood was Dedicated to The LORD GOD OF ISRAEL. LEVITICUS 8.36 These words are so very important. For everybody who calls themself a Believer in The Messiah Yeshua must do all the things which The LORD commanded by the hand of Moses. That never changes. Every GODLY man and woman in The Bible, from Genesis through Revelation had atonement either by the shed blood of an animal sacrifice, or through the death and shed blood of the Messiah Yeshua. And they obeyed The Commandments and The Laws of GOD that are written in The Law of Moses. Those Believers remain written in GOD’S Book of Life. And those Believers have eternal Life. Belief in Messiah Yeshua is critical for Atonement. Paul writes, “Work out your own Salvation with fear and trembling.” Meaning, Work out your salvation by obeying GOD’S Voice, His Word, and His Laws, doing all things which The LORD commanded by the hand of Moses. That is GOD’S Plan for Atonement and His Plan for Salvation. Philippians 2.12. Posted on February 1, 2015 March 24, 2015 Categories Shabbat MessageLeave a comment on YESHUA THE MESSIAH VOLUNTARILY GAVE HIS LIFE ON THE CROSS FOR THE ATONEMENT OF HIS JEWISH PEOPLE.